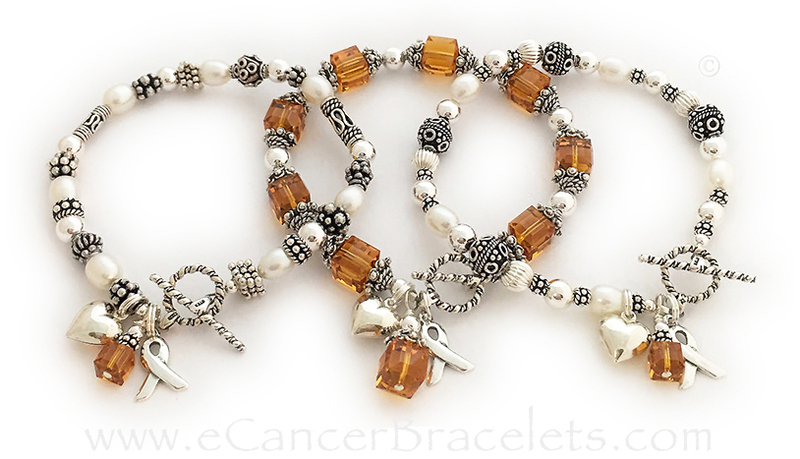 The bracelets, necklaces and earrings I designed and created are intended to provide inspiration, hope and strength to leukemia patients, past and present, and to their family and friends. Feel free to contact us with any questions. 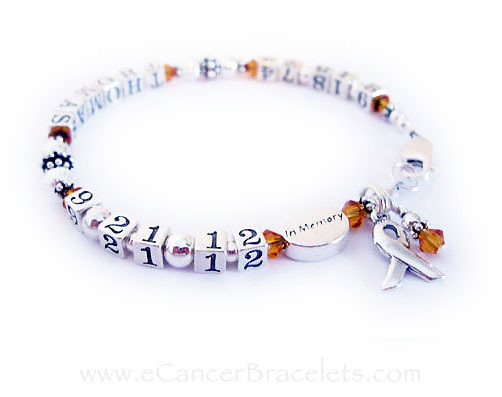 September is Leukemia Awareness month! 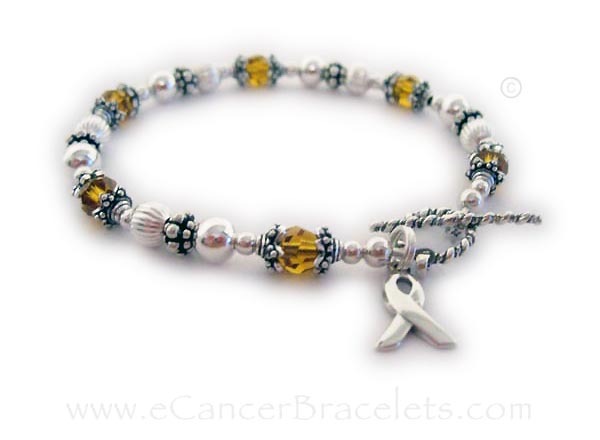 We have over 20 different designs and styles of Leukemia jewelry... 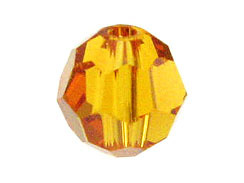 Most of our designs come with the Orange/November option. 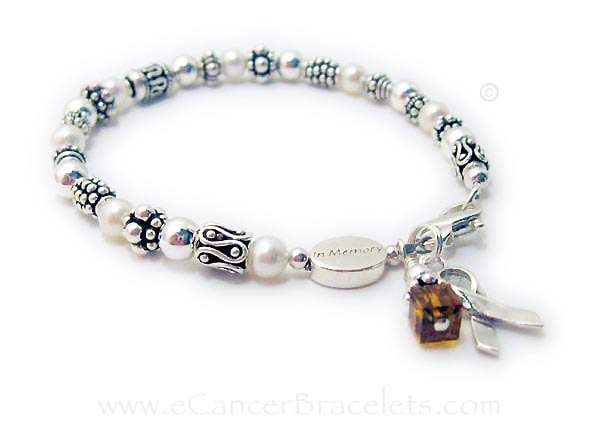 Most of our designs can have a message either written on the bracelet or on a bead. This is a special order... they didn't want any crystals on the bracelet, just a crystal dangle. 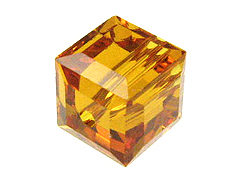 I can adjust my designs to make something unique and special for you! 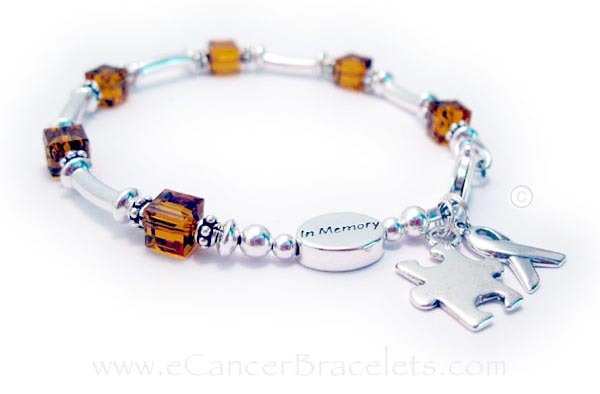 Shown with November/Golden Topaz/Golden Crystal and ribbon charm with an IN MEMORY add-on bead. 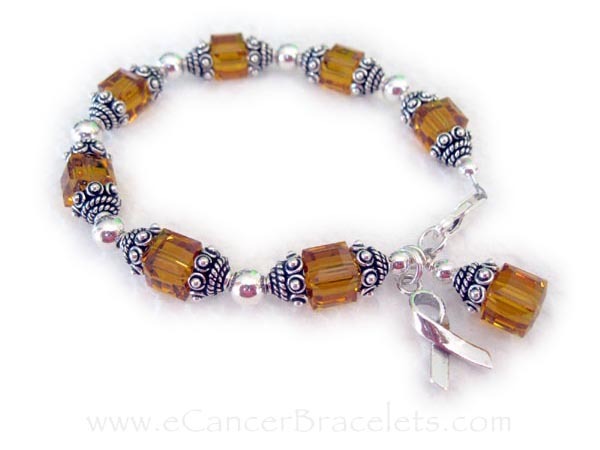 Shown with November/Golden Topaz/Golden Crystal (Leukemia Awareness) and ribbon charm and orange dangle. 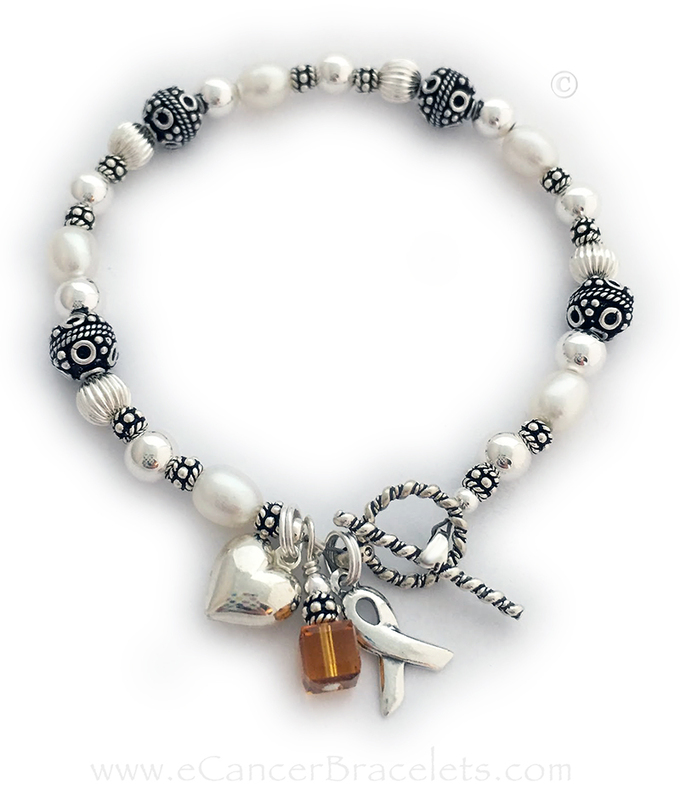 This Leukemia Bracelet comes with a ribbon charm, crystal dangle and your choice of clasp (toggle shown). 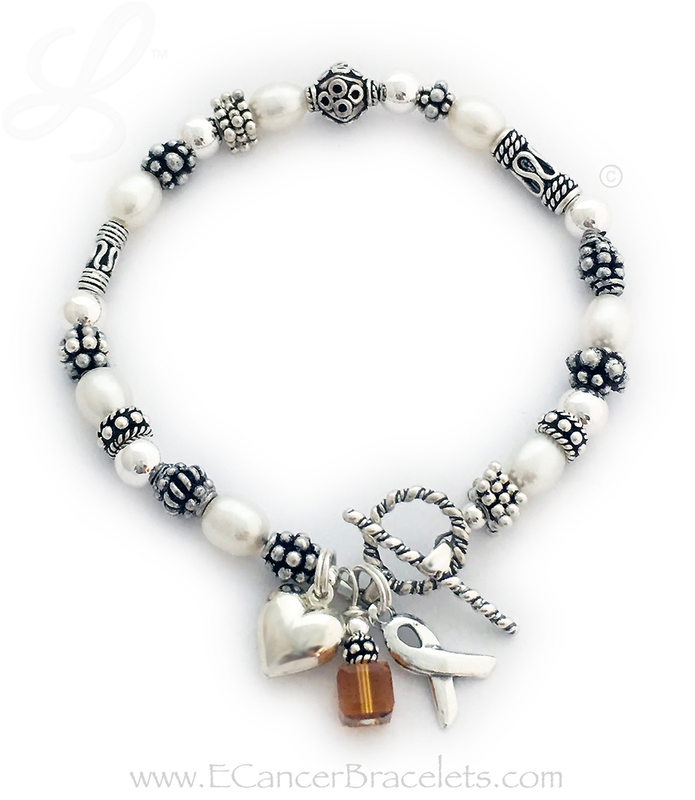 Shown with an add-on ANGEL with WINGS charm. 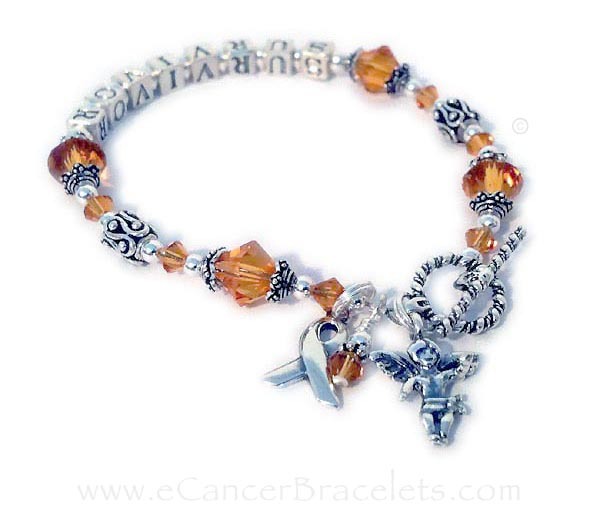 This Leukemia Bracelet comes with a ribbon charm and your choice of clasp.